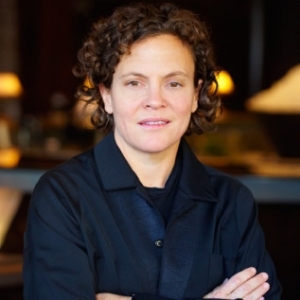 A native of Northern California, Traci Des Jardins has six restaurants in San Francisco, including Jardinière, Mijita Cocina Mexicana (two locations), Public House, The Commissary and Arguello. A California native of a small central valley agricultural community, Traci Des Jardins has been a part of the San Francisco food community for 25 years and has opened many great San Francisco restaurants. She currently runs a diverse group of eateries, including her iconic Jardinière, the Ferry Building-located Mijita Cocina Mexicana and Public House in Oracle Park. Three of Traci’s ventures -- The Commissary, Arguello and TRANSIT -- are located in the Presidio in San Francisco in a newly formed partnership with the Presidio Trust and Bon Appétit Management Company. They also offer catering, under Presidio Foods Catering, in a number of amazing venues in the Presidio. In 2018, the chef launched School Night SF in collaboration with The Pearl. True to its name, the bar is open Sunday through Wednesday from 5 pm to midnight, featuring hand-crafted pisco, agave and whiskey cocktails by Enrique Sanchez and Mexican-influenced bar snacks. Before opening Jardinière in San Francisco in 1997, Des Jardins worked in some of the most highly acclaimed kitchens in Los Angeles, France and New York City. Classically trained in French cuisine by some of the best chefs and restaurateurs in the world, Des Jardins' style is also influenced by her Mexican and French-Acadian grandparents, who taught her how to cook and gave her a passion for food. Throughout her more than two decades in San Francisco, Des Jardins has continued to focus and evolve her style of cooking as well as her restaurants. Over the course of her successful career she has trained and groomed many chefs and front-of-the-house leaders, many of whom now help operate her growing group of restaurants while others have gone on to their own successful ventures. Traci is the culinary advisor to Impossible Foods, which launched the Impossible Burger -- a revolutionary plant-based meat -- in the summer of 2016. The Impossible Burger is currently offered in thousands of restaurants in the United States, with Jardinière being one of them. 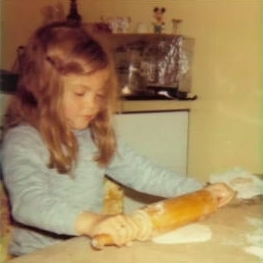 Making tortillas by hand at age 7. Making tortillas by hand at Arguello in 2014.